we, iGadgetsworld published , How to install iAP cracker in your iOS running on 7.1.1 and above, and we mentioned the complete process of installing iAP cracker to proxy the payments so that you can get free coins and tweaks. 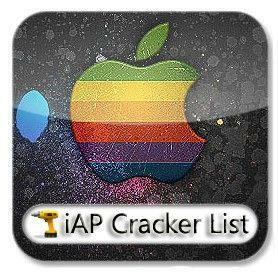 iAP cracker enables the use of paid version games for iOS completely free. If you really love the game, i recommend worth buying it to give the value to the programmers and the companies spending their time and money developing those wonderful games. Before trying iAP cracker, it is better to check the list of compatible games, apps, so that you can feel more easy to start up with the process of “How to install iAP cracker in your iOS running on 7.1.1” and iAP Cracker: Use it to get anything free of cost from iStore. Apple app store, termed as “iStore“, has list of thousands of games, apps and utilities. Most of the top apps, games and utilities are paid. If you have played any premium game from top list of games, you are aware that you can play only a few stages of that game and then you have to purchase them. What iAP Cracker does is, it unlocks paid games, apps and utilities. It works on a huge list of those paid apps and games. If you wanna try before purchase, then this app is for you. Igadgetsworld is not encouraging any of the copyright infringement or actions to encourage cracking of apps. This is only a ethical method to use paid apps for its functionality and usage. Apart from iAP crackers, there are many inhouse crackers or iAP cracker alternatives like iAP free LocaliAPstore and In-app Cracker. However, you should use this list of in-app applications and other games to try before purchase. If you like any game or app, then purchase it. You should respect developer’s hard work. They invest their valuable time to develope these useful stuff.